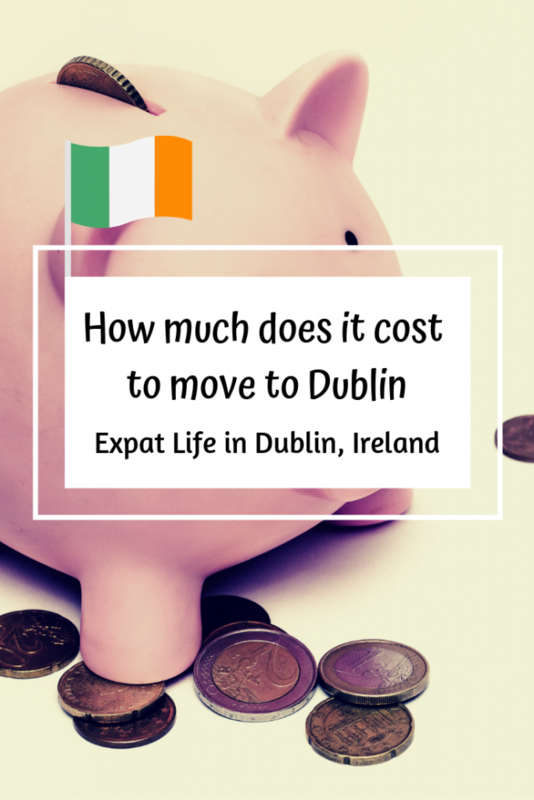 When we first moved to Ireland, one of the things we were most nervous about was the question of did we have enough savings to actually do it. We tried to research average living costs, looked at statistics and that helped us judge what kind of salary was needed to maintain a life for us both. But it still didn’t give us a clear idea of what moving and the first two months of settling in would cost. We looked back at our own expenses and decided to share them, so that they might help people get an idea of around how much you do need to have saved up to make the move. Disclaimer: We’re not relocation experts. The numbers mentioned are based on our own experiences. For details on each expense, it’s probably easiest to watch our video on YouTube. This didn’t apply to us but, depending on your nationality, you may need to plan in fees for a visa application and, depending on the visa, also proof of insurance and sufficient funds. Having moved country not too long ago, we also didn’t have much to relocate. We only came with one suitcase each and hand luggage to Ireland. So, for us, the first bigger expense was flight tickets. Luckily, we managed to get ones from a budget airline and it was a flight within Europe. The cheapest way to get around town on public transport is if you buy a Leapcard at the airport. Leapcards are smartcards you can top up with money and pay fares for any method of public transport in Dublin, much like the Oyster card in London. Taking the express bus from the airport into the city centre will cost you €7 per person. After that our spend on transport was mostly the bus for going on bigger shops and for viewings of flats. Julia also had to commute via LUAS to her new job for the first week, which meant she had to buy a week ticket that included the LUAS. In terms of accommodation, we went through almost all options. For the first week, we stayed in an Airbnb on the outskirts of Dublin. This gave us some time to get to know the different neighbourhoods, while we were looking for flats. We were very lucky and found permanent accommodation to move into very quickly. That required one month’s rent and another month’s rent upfront. We also had to sleep in a hostel for a night in-between moving out from the Airbnb and the moving into a double room in a shared house. Considering Julia had already started her new job we would recommend an Airbnb over a hostel for the sake of cleaner bathrooms and getting a good night’s sleep. If it takes you longer to find a flat, which in Dublin can very easily happen, short-term accommodation is also an option. We had actually reserved a double room in a shared house for six weeks, just in case. By not needing it in the end, we lost the €200 deposit but it was a reliable and much cheaper back-up to have than booking another Airbnb. The advantage of moving into a shared house was that most dishes, cutlery etc. was shared and we didn’t have to buy our own immediately. What we bought from Ikea were mostly smaller items for our room, such as a rubbish bin or boxes to organize our things. If you don’t want to take the bus all the way to Ikea, you can also find cheaper home stuff at Tesco Metro shops. Since it took about two weeks until we had settled into our new flat, we consumed a lot of takeout at first. Once we had gotten the bare necessities for cooking, such as oil or spices, the average weekly shop cost us about €40. We also were able to keep cost low by shopping mostly at Aldi and Lidl and only getting what we couldn’t find there from more expensive stores like Tesco. Since we only arrived with a suitcase each, we also needed to buy more clothes, especially as autumn started getting colder. We hadn’t brought much toiletries, since it was easy enough to buy them in any supermarket. That did mean though we had higher expenses for clothes and toiletries for the first two months until we had settled in. Where we did save here is by buying clothes from Penny’s, internationally also known as Primark. However, the quality of those clothes, once you washed them a few times, was rather disappointing. Another necessity is having a SIM card. Personally, Julia uses Tesco Mobile because she just had to go into any Tesco shop and buy it. It came with a number so, she just switched sim cards in her phone. Getting a top up SIM card at first also gives you the flexibility to easily switch if you’ve found a contract you like. To protect your savings, you probably want to find a job as quickly as possible to have a steady income. The reason we moved very quickly to Ireland was because Julia had already been offered a job and we arrived the weekend before Julia had her first day. Even so, it took a while for that income to sink in. The reason is the processes involved with getting a PPSN ( sort of like a social security number) and a bank account and the fact that payroll often has a cut-off date for changing your details in the middle of the month. Although Julia was able to go through the processes relatively quickly, Julia was still put on emergency tax, which meant for the first month she only received 60% of her salary. The good news is you’ll get the remaining salary back once everything is sorted. However, all the admin work involved can delay a full month’s salary to your second or third month working in Ireland. While your savings may already be strained, do plan in a little extra for entertainment. Use that budget to go to events to meet new people or perhaps to go for after-work drinks at the pub with your new colleagues. Moving to a new country can be overwhelming but don’t forget to also get to know your new home and the people in it. 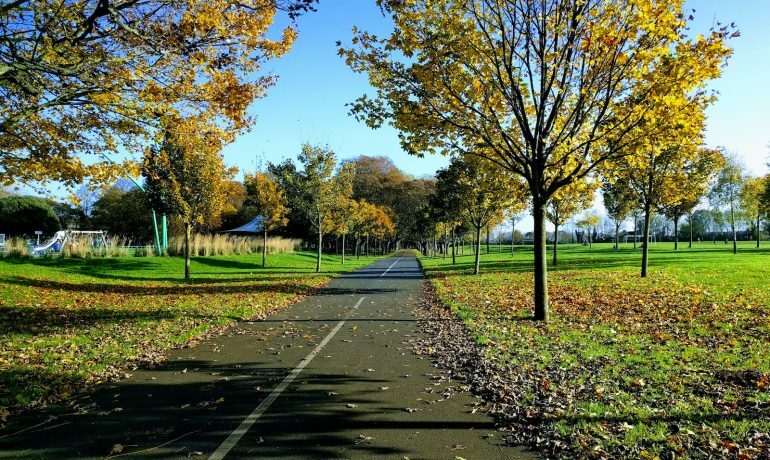 If you’re worried about spending too much, you can always just take a bus into a new part of Dublin and go for walks or look for free events. The important things is that you’re not only settling in physically, but also emotionally. Want a Calculator for your own Budget? We’ve created a Google Sheet with all the expenses we had on the first sheet. The second sheet has some handy formulas for you to calculate your own budget. There we also included numbers based on if you want to move as a single person rather than a couple. To use the calculator, go to “File” and “Make a Copy” to be able to edit the sheet. Then just type in your own costs and the number of weeks, e.g. for example an Airbnb and how many weeks you’re going to stay there and voilà the calculator will update the extent of savings you need.